I have created several pieces of video and painting works with the idea of “layered memories.” The project “E l a p s e d” is another approach exploring the layered memories by revealing different spaces and times together. 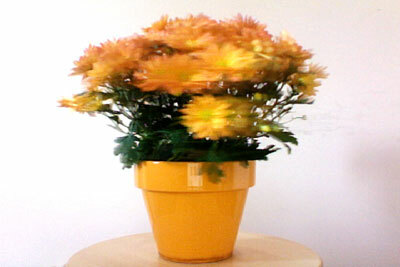 "E l a p s e d" is a single-channel video of a spinning flowerpot showing the different look and feel from its changing perspectives throughout the length of video. 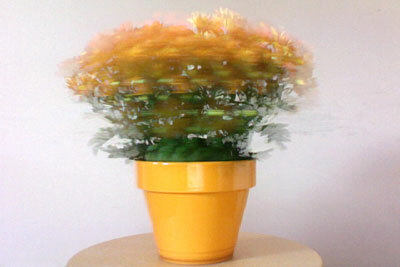 The spinning movement of the flowerpot also reveals the very moment of the elapsed time. 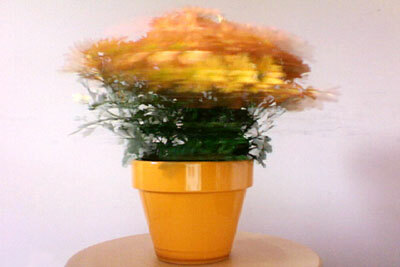 These effects of the elapsed moment were mostly achieved through the real-time digital process applied while shooting video. Currently I am exploring the possibility of real-time processing techniques that attach different sliced-time units as I adjusted them while shooting video or capturing images. Whereas normally real-time video processes are involved in the final state of output display, in this video the real-time performing manipulation is involved at the beginning of the shooting process thus used as a performing setup.